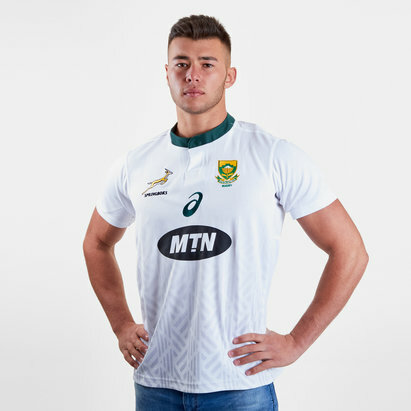 Show your pride, passion and support for the Springboks by wearing one of the latest South Africa rugby shirts, available right here at Lovell Rugby. 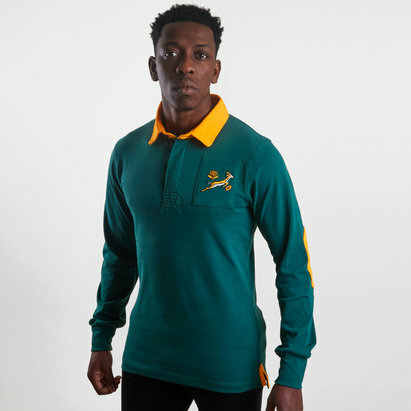 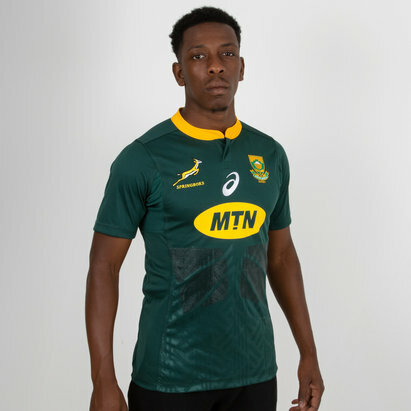 Manufactured by Asics and featuring the classic green and gold styling, the new South Africa rugby shirt will enable you to cheer on the team in this lightweight and breathable shirt. 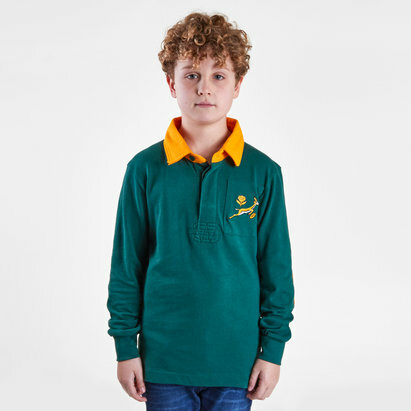 You can even buy one of the red alternate shirts; with both including the Protea emblem and Springbok. 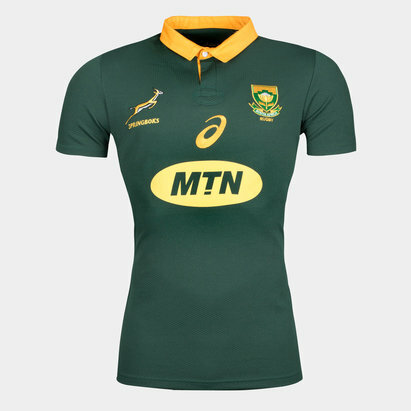 Personalise your new South Africa top with a name and number for just £9.99.